within the products. And this device simulates the drop/ fall of a finished product to evaluate the damage. All the rhombohedrons, angles and faces of the products can be tested. 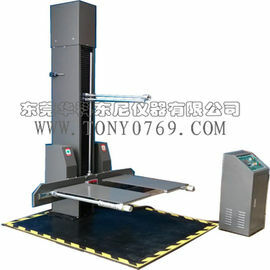 6.Height adjustment: automatic adjustment by setting the height number in the controller, easy operation and quick.